How does aspirin protect against cancer? How does obesity increase the risk of cancer? What genetic, epigenetic, biologic, behavioral, or environmental factors enable some people with highly lethal cancers to survive beyond expectation? These are just a few perplexing issues that were chosen as part of the Provocative Questions Initiative of the National Cancer Institute (NCI), one of the 27 Institutes and Centers that make up the NIH . The initiative was launched to identify questions or problems about cancer that, for whatever reason, have been neglected in the past. The hope was that by crowdsourcing across the entire research community, the most important questions would be identified — potentially yielding game-changing advances in preventing, diagnosing, and treating all forms of cancer. Although cancer rates are declining about 1% per year , cancer is the second leading cause of death in the United States, surpassed only by heart disease. In 2009, 567,614 people died from some form of cancer—1,555 people every day. We’ve been waging war on this disease for decades now. But we now have the tools to address many more questions. 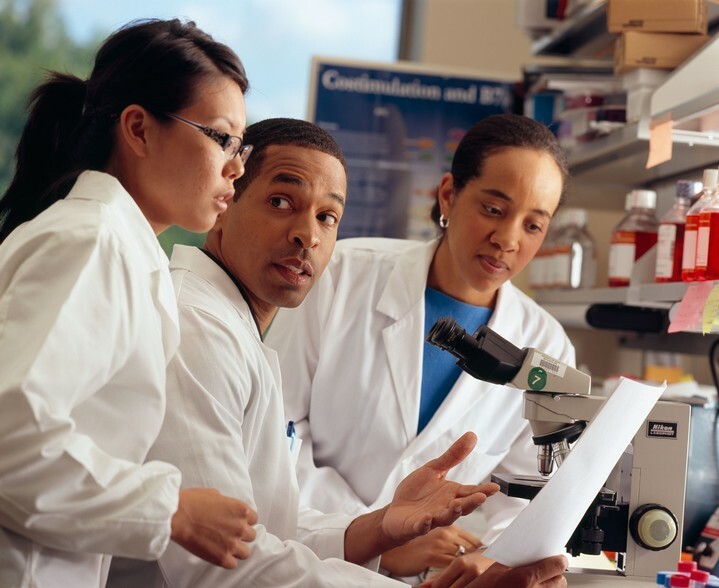 To select the most provocative questions, NCI started by holding 16 day-long workshops at the NIH. Invitations were extended to clinical and translational investigators, basic scientists, behavioral researchers, epidemiologists, evolutionary biologists, and drug developers. All eagerly contributed. For those who couldn’t attend these workshops, the NCI launched the Provocative Questions website for online submissions. Anyone in the world could submit a question or comment. The response was overwhelming, with hundreds of questions being submitted. NCI leadership selected the top 24, organized around four themes, and solicited grant applications that focus on them. Some of the chosen questions are based on an opportunity to provide explanations for forgotten observations. Others may have once been seen as too complicated but are now possible to address with today’s genomic technologies and computing power. Some questions are based on new findings and need more exploration. In the first round of competition in 2011, NCI received 750 grant applications and funded 56 of them to the tune of $21.5 million. A second round of applications has just been received in June, 2013. Answering each of these questions will expand our understanding of cancer biology in the near future. I think this is a wonderfully democratic and inclusive approach to science. I look forward to the audacious, imaginative science and “provocative answers” that will emerge. Annual Report to the Nation on the Status of Cancer, 1975-2009, featuring the burden and trends in human papillomavirus (HPV)-associated cancers and HPV vaccination coverage levels. Jemal A, Simard EP, Dorell C, Noone AM, Markowitz LE, Kohler B, Eheman C, Saraiya M, Bandi P, Saslow D, Cronin KA, Watson M, Schiffman M, Henley SJ, Schymura MJ, Anderson RN, Yankey D, Edwards BK. J Natl Cancer Inst. 2013 Feb 6;105(3):175-201. A very good article. Will definitely follow up. What kind of tests are required to detect cancer in early stages?